If you’ve got a question about moulding, ask Max T. Value! 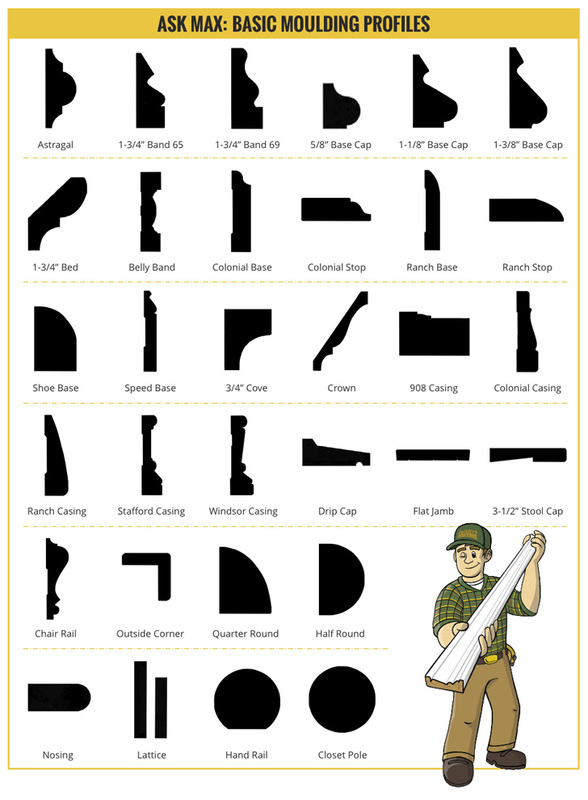 He’s put together a chart showing some basic moulding profiles. Not sure where to start? Keep it simple with one profile or imagine a combination of two or more profiles to create the look you desire. Then have fun placing decorative details throughout your rooms. 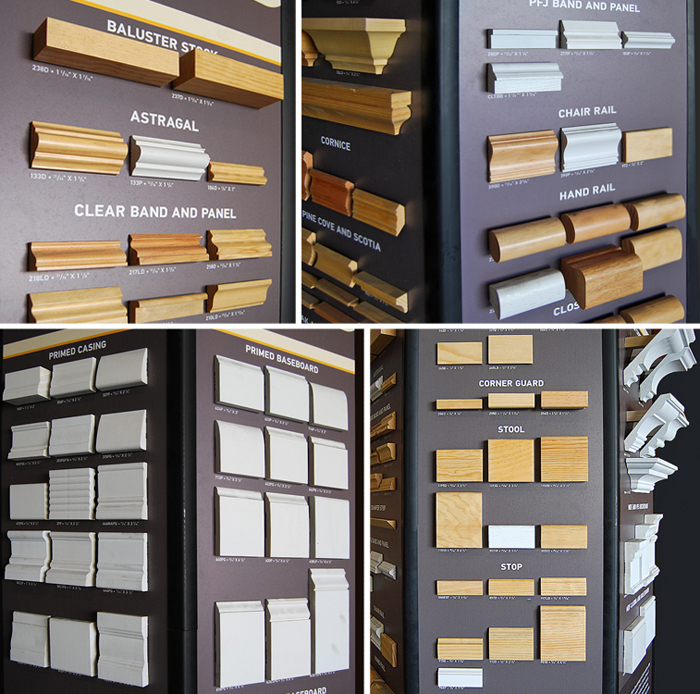 Builders Surplus stocks an amazing selection of moulding and it’s available either primed (painted) or clear (natural). In addition, moulding may be painted or stained to create the appearance you want for your home or office. Whether you prefer simple elegant lines or wildly ornate patterns, there’s a profile available that will fit your vision perfectly. You’ll be amazed at how a touch of moulding can modernize an outdated trend and add a new sophistication to a room. Come into any Builders Surplus location and ask an associate for creative ideas. We’ll be happy to talk moulding design and decoration with you!